Since I am a stay-at-home mom these days, I’ve been trying to take on as much of the house work as I can (vacuuming will always be a Jesse job). 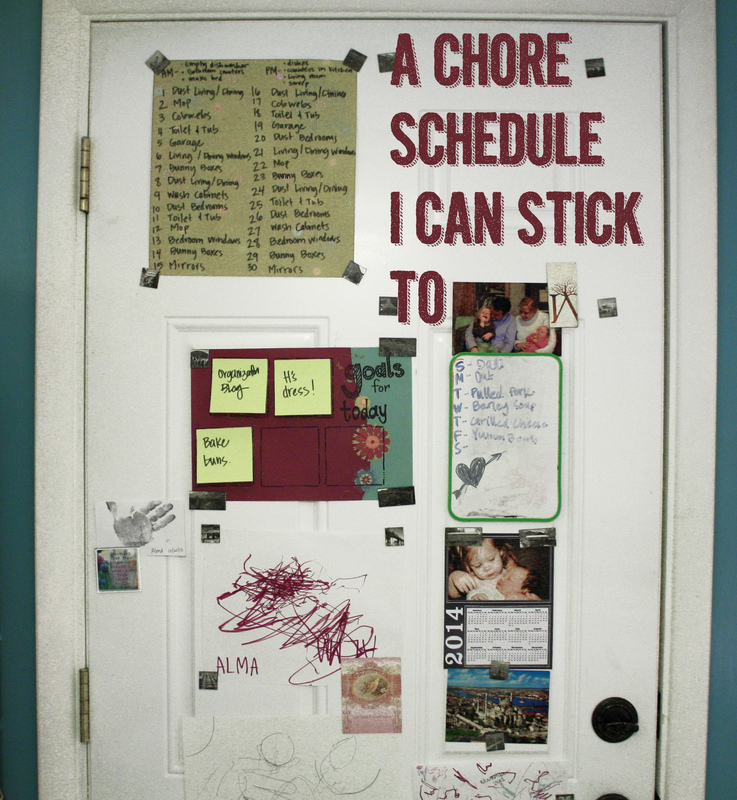 Pinterest is full of ideas for how to organize house cleaning, and I have tried a few. Here’s one I tried. My problem is it is so boring. This schedule worked for the first couple weeks because it was new. I was almost excited every day to wake up and see what I was going to do that day. But that wore off. I need more variety in my life! I took my ‘key’ and filled in the tasks on my final copy. I also added that every morning I will empty the dishwasher, wipe the bathroom counters, and make our bed, and every evening we will load the dishwasher, wash dishes, wipe counters, sweep dining room, and straighten the living room. Jesse and I do the evening chores together after the girls are in bed. This seems to work for me. It keeps me on my toes, and doesn’t feel like I’m doing boring housework all day long. 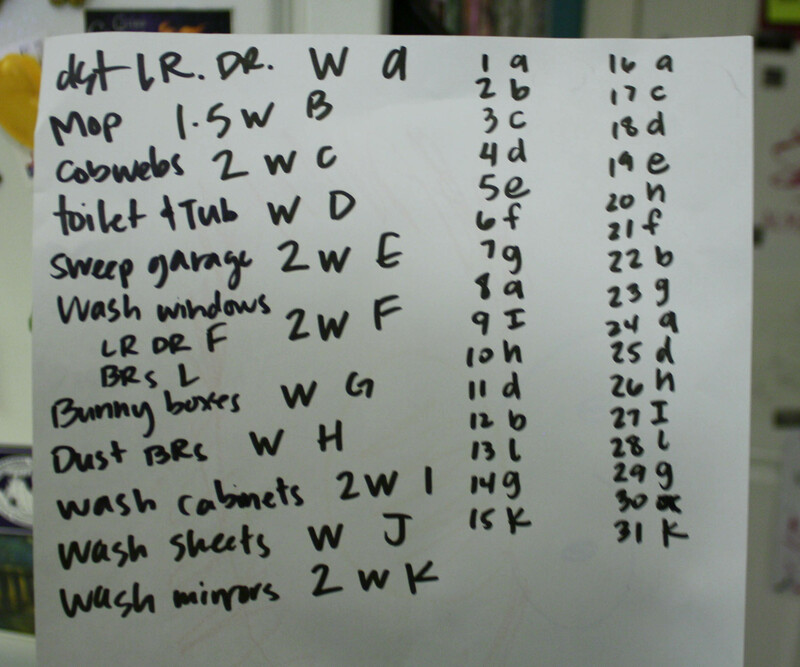 Most of these tasks can be completed in about 1/2 hour. I can do it while the girls are awake, and even have Alma help with some of them. And if I miss a day, it’s easy to catch up on following days, or just let it got until the next time. 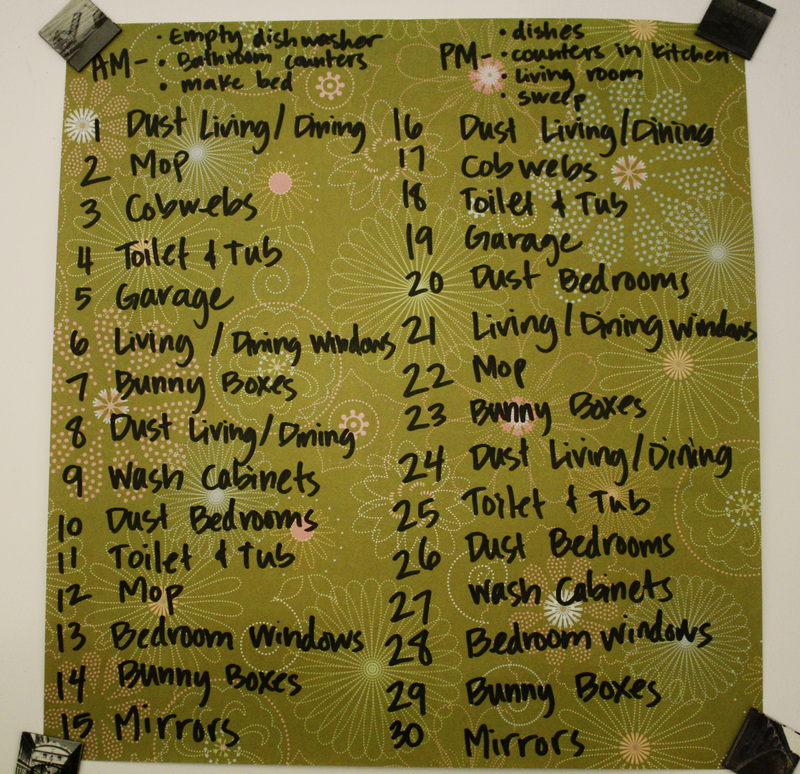 I used to do some of these so seldom that if I only dust once a month, it still feels (and looks) much better than before I started using a schedule! Another thing I like to do to keep myself motivated and productive is to have a few things that I plan on doing each day. These can be fun, like coffee with a friend. They can also be work or house related. I write the task on a post-it, and recycle it when I’m done. It makes me feel like I’m not just wasting my days away, even if I never even leave the house. These little things help me so much when it comes to avoiding feeling shut-in or bored. 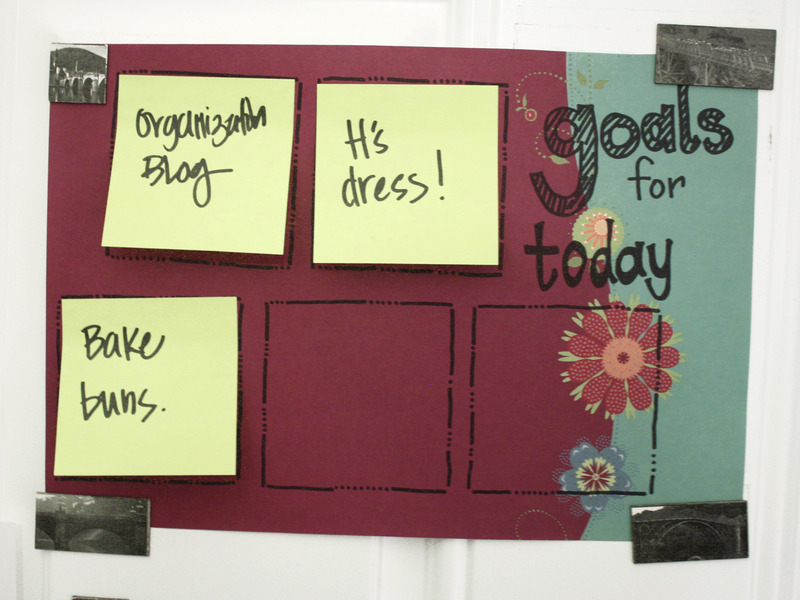 It feels so great to get things done, and these little ideas help me stay busy and on track! I did pin it! And I am sure you could amend it. You can pin it, too!